Whether you run a multinational corporation or a startup, communication is key to survival and success. Many organizations, regardless of size or industry, still rely on legacy PBX phone systems as the backbone for their corporate communications. However, these systems are ill-equipped to handle the complex communications needs of today’s businesses. And as workforces become increasingly more mobile and both the fiscal and operational needs of your organization change, it’s imperative to make sure your communications systems have all the features and functions you need today and into the future. Why you need it: No matter the size of your business, you and your employees have better things to worry about whether your communications system is working properly. Companies of all sizes, in every industry, benefit from the time savings and reduced installation costs of up to 70% with cloud-based, done-for-you phone systems that you can customize and manage without a ton of special training, expertise, or expensive hardware that become obsolete and a cost burden in a couple of years. What it is: Unlike old phone systems that required their own rooms and a bunch of boxes to manage, hosted PBX systems are cloud-based and can be fully managed from a central customer portal. The admin portals make it easy to oversee, change, add extensions and employees, and monitor all system functions–with the added bonus of on-demand support from your vendor. What it is: Call answering with an automated attendant replaces the need to staff a reception desk or hire a call answering service. Call answering features in hosted PBX services include an auto attendant, dial-by-name directories, and even a do not disturb feature to help callers find their preferred contact–even if he or she isn’t immediately available. Why you need it: There are better uses of employee time and company resources than staffing and training dedicated receptionists. Re-allocate time and as much as $35,000 per year ordinarily spent on low-impact activities toward higher-value tasks like answering support tickets faster, connecting with prospective customers sooner, or collaborating with colleagues to build a better business. What it is: In today’s business environment, conferencing and remote collaboration are must-haves. Hosted PBX solutions deliver an array of integrated video, audio, and desktop sharing tools that allow you to host your own advanced video or teleconferences, pre-schedule on-demand events, and even record the conferences for future playback to help you take control of your meetings even before they even start–without having to manage all infrastructure yourself. Why you need it: You can’t be everywhere at once, despite what your customers and prospects expect. Conferencing–both teleconferencing and video collaboration–helps to dramatically extend the reach of your business to be more places for more people and collaborate in real time with geographically dispersed teams–all without having to add a big number to your travel budget. Conferencing gives smaller businesses the added bonus of appearing larger and more responsive without hiring additional employees or otherwise increasing overhead. What it is: It’s no secret that more employees are working from some place other than the office than ever before. Hosted PBX services support employee mobility and the ability to work from home, during a commute, at a hotel or another office from virtually any device. Employee mobility sends calls to multiple locations at once, meaning you and your team can answer no matter where you are at the moment. Why you need it: Whether it’s because they feel more productive working from a coffee shop or they’re out in the field working with customers, your business can’t afford to have employees tethered to their desks. And when you factor in that 91% of workers believe they “get more work done when working remotely,” you’ll be hard pressed to come up with a reason for not at least providing some off-site connectivity for them. What it is: Hosted PBX solutions expedite your callers’ journey through your phone system keep them engaged, connected, and on the line. With call routing capabilities, your system comes equipped with virtual extensions for every employee, “follow-me routing” to allow direct calling to specific desk or mobile devices, and even skill-based routing logic to make sure your caller is getting the right person or team, at the right time. Why you need it: Like with call answering, your customers and prospects don’t want to spend their valuable time tracking down someone to help answer their questions. Hosted PBX solutions automate many of the most tedious aspects of phone communication, providing a smoother, more efficient, and superior customer experience. Hosted PBX solutions are a far cry from your old, boxed-in phone systems. 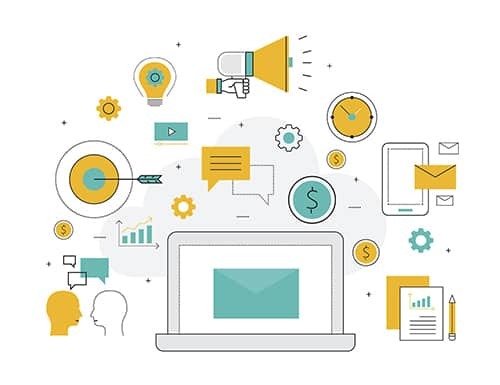 They’re fully equipped with all the bells, whistles, and special features your business needs to remain connected and competitive in an increasingly complex, instant gratification world.